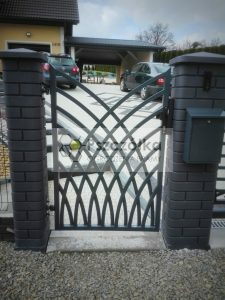 The construction of the entrance gate, wicket and spans fills a bent rectangular profile welded to the frame. 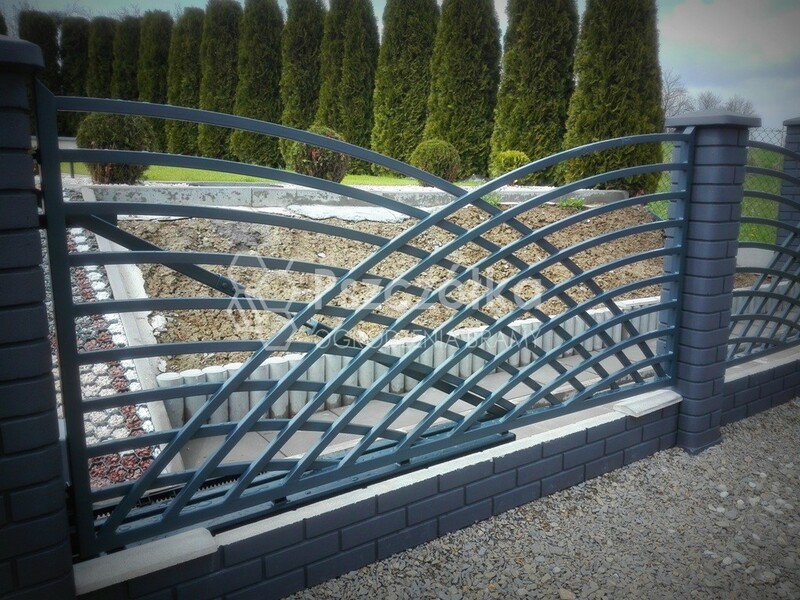 The whole has been hot-galvanized and powder coated in RAL 7016. 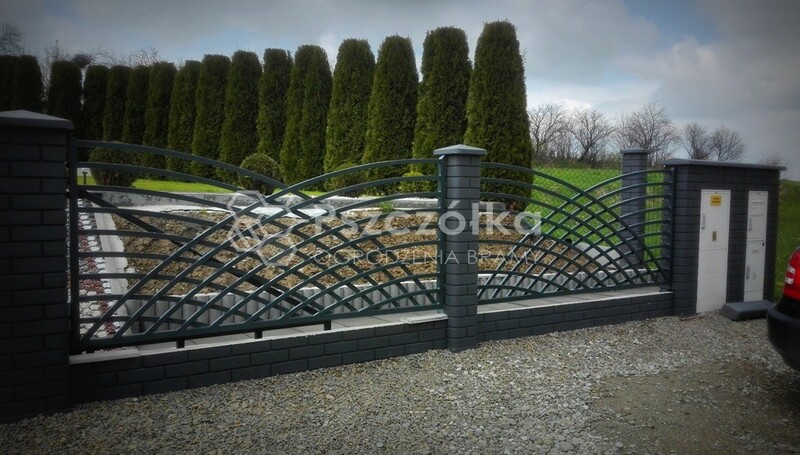 This type of protection guarantees excellent product quality and corrosion protection for many years. 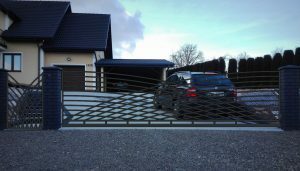 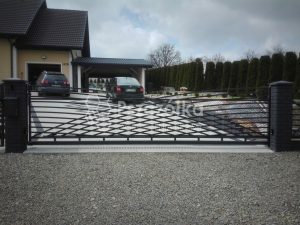 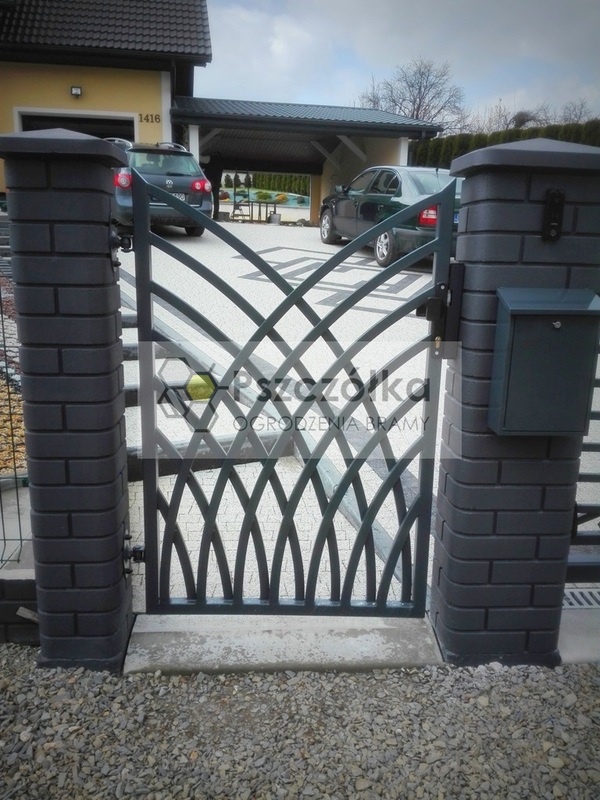 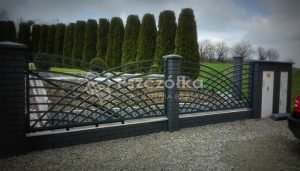 The entry gate was moved to a size of 5.4 m individually to the customer’s needs. 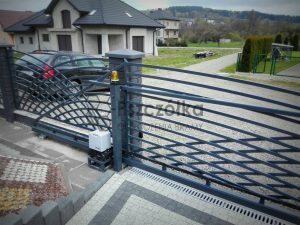 The FAAC 740 automatic drive has been installed in the sliding gate.